Tibetans are believed to be descended from a mixture of the ancient peoples that populated the plateau around 15,000 years ago and the Qiang nomads of ancient northern China, that migrated south to the plateau around 11,000 years ago. 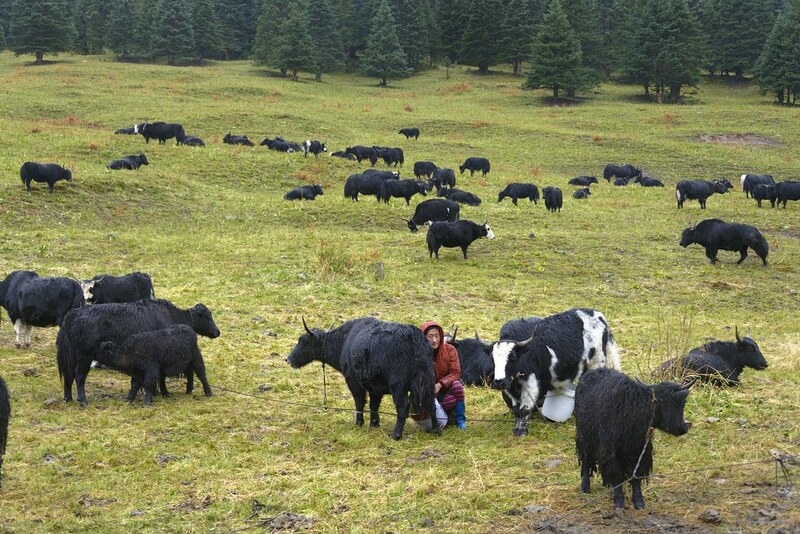 These migrant Chinese integrated with the earlier residents of the plateau, and the typical nomadic life of the ancient Tibetan people began in earnest. In later years, the Tibetan king, Songtsen Gampo, built his empire on the backs of the Nomads. The strength of that empire was based on the fact that Gampo could utilize the huge number of Tibetan nomads as a mobile army and expand the frontiers of his lands further. This was also the way that the Mongolian Empire, under the rule of Genghis Khan, expanded to the edges of the Tibetan plateau, and interacted with the Tibetan nomads in around the 13th century.